DIRECT FROM LOURDES - Divine Mercy Prayer Card With Resin Drop Medal. 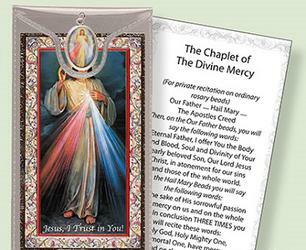 Divine Mercy Prayer Card With Resin Drop Medal. Divine Mercy prayer card with resin drop medal, silver foil stamped.